Paulina works closely with the managing directors, executive committee and staff to direct, manage, and oversee business strategy and firm-level projects that impact excellent client experience. Paulina earned her Bachelor of Science and Master of Science degrees in Personal Financial Planning from Texas Tech University. 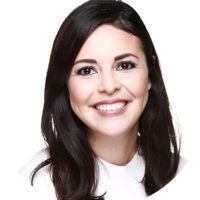 Prior to joining Atlas Wealth Advisors, Paulina worked in operations for two financial planning firms in the DFW area and gained recruiting experience from a national financial planning recruiting firm. Paulina was born and raised in El Paso. She relocated to Dallas in 2014 to be with her husband, Stephen. Together they have a son, Noah, and two furry companions, Monster and Maverick. Paulina is an interior design hobbyist, coffee enthusiast, and enjoys authentic Mexican food.